Includes Road to Marquez - Alvarado. Also: Viktor Postol vs. Selcuk Aydin. 2 Blu-Ray Set with 24/7 + More. Also: Orlando Salido vs. Orlando Cruz & Vasyl Lomachenko vs. Jose Ramirez. 2 Blu-Ray Set with 24/7 + Much More. 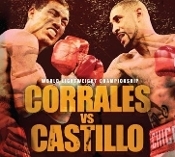 Includes Brandon Rios vs. Richard Abril. Includes Andre Berto vs. Freddy Hernandez & Jason Litzau vs. Celestino Caballero. Includes Robert Guerrero vs. Joel Casamayor, Jorge Linares vs. Rocky Juarez & Dmitry Pirog vs. Danny Jacobs. Includes Chris John vs. Rocky Juarez I. 2005 Ring Magazine Fight Of The Year. 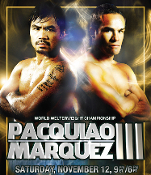 Includes Juan Manuel Marquez vs. Victor Polo.